Joomla 4 is on the way coming as Joomla 4.0 Alpha 1 released. 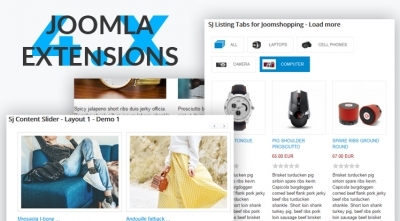 To prepare for this major Joomla release, we've just tested and released the extension updates for Joomla 4. This list will be updated regularly. 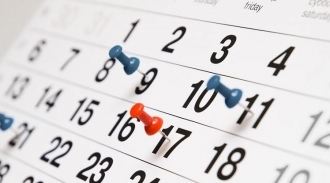 Stay updated with us for latest news! Note: Joomla 4 stable has not been carried out yet. Therefore, these Joomla extensions are passed on Joomla 4 testing version only. 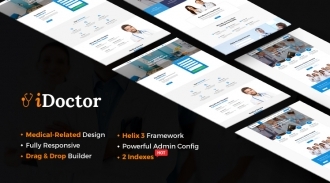 Sj iDoctor is a professional responsive 3.7 Joomla template designed for doctors, medical, healthcare centers, clinics, small hospitals and other types of health-related websites with 2 elegant homepage layouts. The medical Joomla template comes with an outstanding design and lots of elements and features specially created for medical and heath-related sites, such as doctor info, medical services, appointment form, health service packages, mapping and much more. 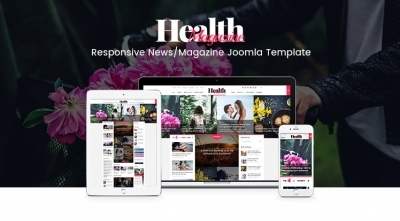 SJ HealthMag is a responsive Joomla 3.x template that is built for news/magazine websites. With Bootstrap 3 integration, SJ HealthMag is fully responsive and beautifully displays on any devices and screen resolutions. 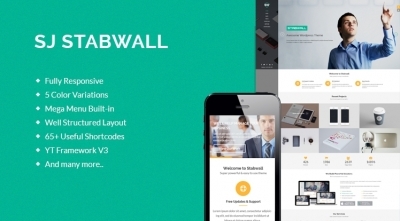 SJ Stabwall is a professional Business Joomla 3.x template with a well-structured layout and elegant look for any business/corporate sites. SJ Stabwall comes with dozens of powerful extensions and an intuitive admin option panel that allows you easily to set up a business website. 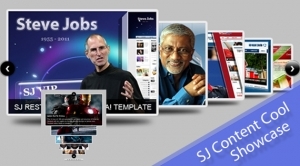 SJ Listing Tabs for Content - A powerful Joomla 3.x module for professionally listing content. Are you owning one or more websites and planing to make money from them? But how? 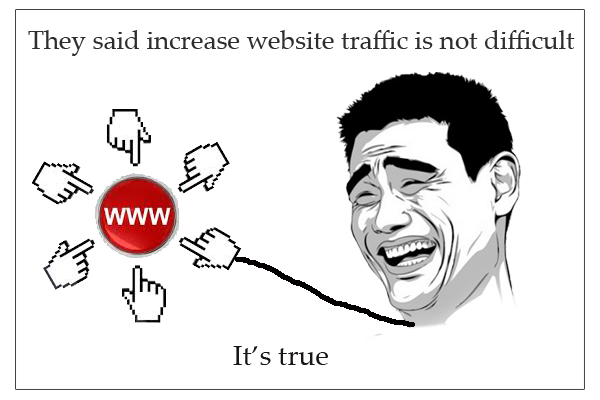 As an online marketer I can say that "traffic is the primary key for your success". Let's take 9GAG as a real case study. Started off as “just for fun” side project, 9GAG has been succeeded beyond expectation. "Since 2008 the number of unique global monthly website visitors has also increased from 500,000 to 67 million." (Wikipedia). How they can get such an impressive number of regular visitors like that? [UPDATE] Catch-up the latest updates of Joomla extensions from Smartaddons!!! Hey hey hey! 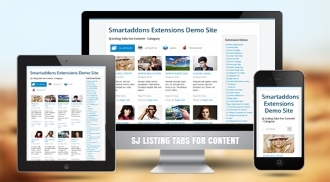 Smartaddons.com has released updates on a number of Joomla extensions. Have you checked it yet? Hope the answer will be YES. If not, please make sure that you follow the below guide to have the best overview of what we have done for you! Which components are you using? Virtuemart, K2, Zoo, Sobipro,...? 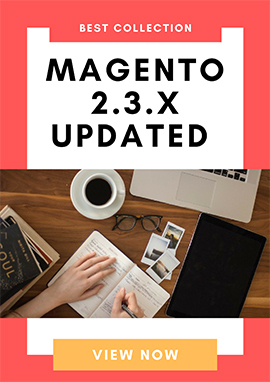 It's so glad to announce that we have made some bugs fixed on modules using several of those components, specially to be compatible with stable Joomla 3.x release. Here is the path leading you to the detailed information, click the link dependent upon your needs to see more. 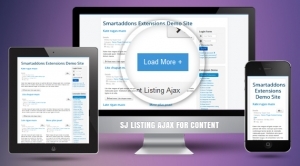 Today, we're pleased to announce that SJ Listing Ajax for Content has been released. The plugin supports to insert load more button in Category Blog or Featured Articles template of Content Component. This helps load items on the font-end just by clicking on load more button without reloading its page. SW Tab Content - one of the best free WordPress plugin, is a very nice short-codes plugin using with in-house themes. This free WordPress plugin supports you in showing multi-categories more beautiful and useful according to ajax tabs. In each tab, the plugin used slide ajax which an innovative method to display items. Are you looking for a module to show any types of content - as slideshow - right out of the box. 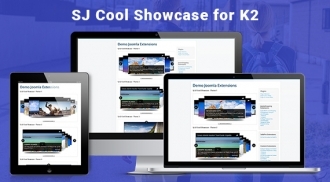 That's what SJ Dynamic Slideshow brings to you. With up to 10 blocks to contain flexible content such as images, links and videos, this module is suitable to integrate into any Joomla! websites without depending on Joomla! versions or visitors' devices.